When the compilation The Beatles Number 1 (27 No. 1 Singles) was first released back in the year 2000 I was a purist and was only interested in any Beatles re-issues that came out on vinyl. That was my focus as a collector. As the years have gone by I’ve realised that, while I’ll still collect any vinyl re-issues that come out, CDs are after all much more convenient to play – and they often have some variations to the vinyl which are interesting. While I’ve had the original vinyl of The Beatles Number 1 for years (the packaging of which is AWESOME -more on this soon), there were some CD editions of it that were always of interest. Among these was the Taiwan edition featured here. I recently spied one in excellent condition and going for a very good price on Ebay – and it arrived this week. As you can see – it has a special outer cardboard slip case that clearly proclaims it is from an Asian country – in this case, Taiwan. The unique packaging doesn’t stop there. 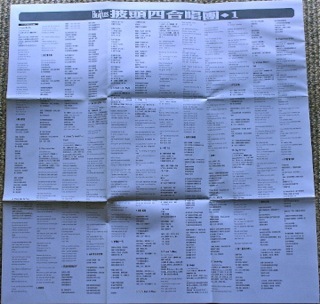 The pack also contains an additional 36 page booklet (in Chinese) with what looks like a long essay on the Beatles, a wealth of information on each individual track, photographs of the Beatles and the albums each track is associated with, release dates, etc. Interestingly the CD jewel case, booklet (32 pages) and CD seem to be exactly the same as the European release. It has “Printed in the EU” on the back and on the CD, so I guess EMI Taiwan just imported these and put together the rest of the pack themselves…. 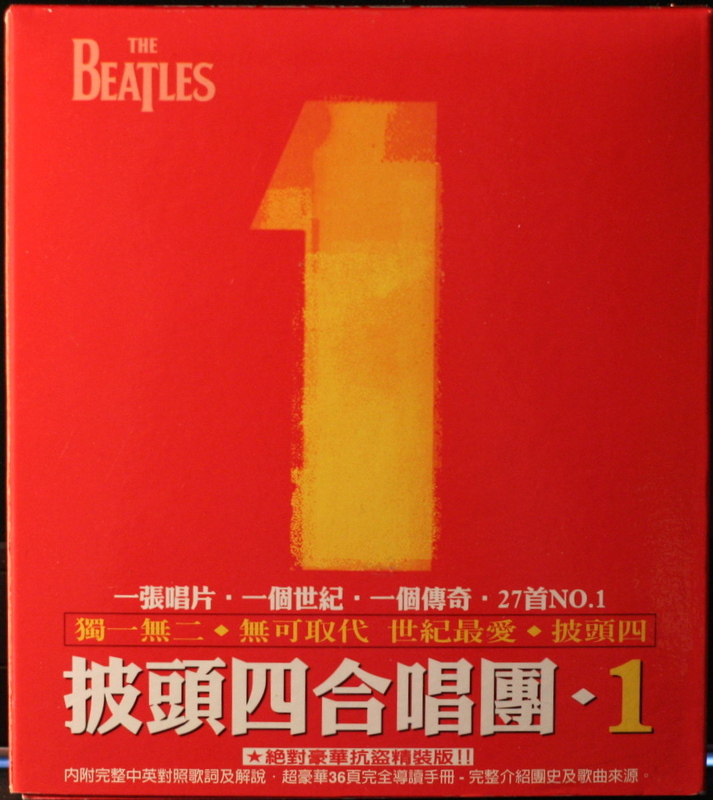 So, there you have it – the slightly collectable Taiwan edition of The Beatles Number 1. As mentioned above, the vinyl edition of this release is kind of special. Apple really went to some trouble with the packaging and inserts and I will post some photos and info on this edition soon. Fab Fourum – a Beatles podcast I download occasionally – recently devoted a whole show to the Beatles Number 1, and you can download it here on iTunes (see Episode 021 called: #1 With “1”). 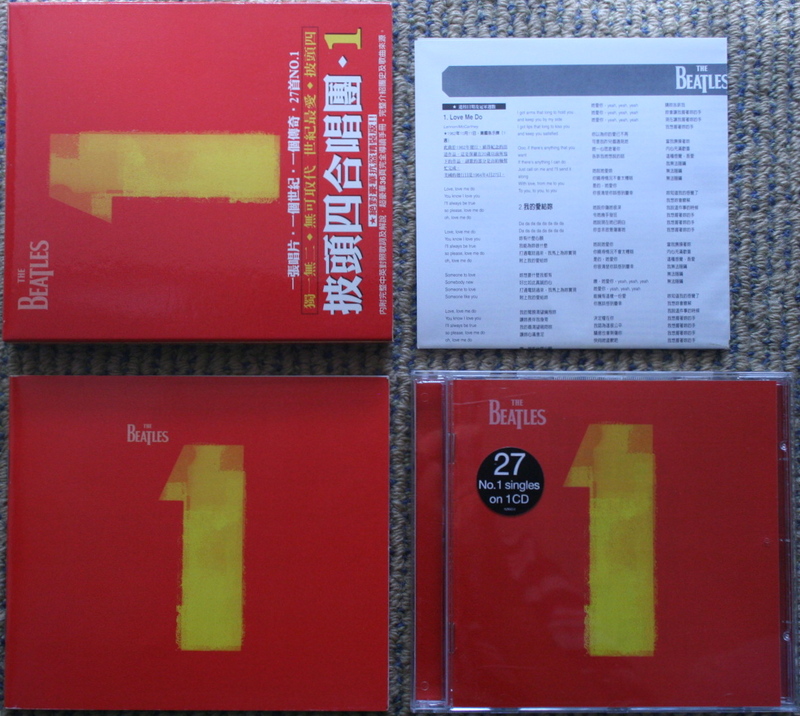 This entry was posted in Beatles, Beatles Collecting, Beatles Music, Beatles Related and tagged Apple Records, Beatles, Beatles 1, Beatles Collecting, Beatles Number 1, Beatles Related, Beatles Taiwan, Rare Beatles by beatlesblogger. Bookmark the permalink.